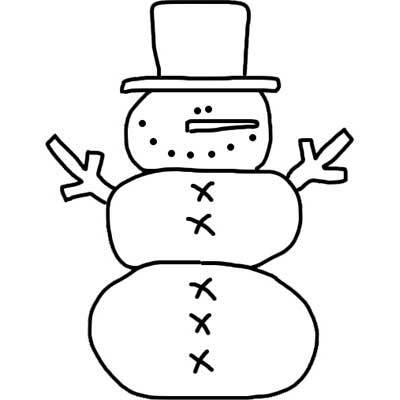 Hugs and kisses snowman outline. Free printable template. This snowman is just happy that it is winter time. Color him, use him for crafts, applique.